Are you searching for a summer sales associate job to help generate tuition, apartment rent, or spending money while you’re free between school terms? In order to apply for a sales associate job, you’ll need to fill out an application form, either in person or online, but it’s also a good idea to include a cover letter. Not sure how to write one? Read on for tips and an example of how to write a summer sales associate cover letter. Cover letters are just as important as resumes when it comes to applying for a job, since it’s the cover letter which creates your first impression with a potential employer. If a cover letter is too generic or if it contains grammatical or spelling mistakes, a hiring manager may delete your application without even bothering to review your resume. It’s important to create a cover letter that is tailored to the specific sales associate position you’re applying for. 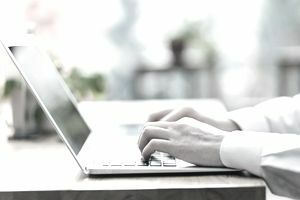 The qualifications you choose to mention in your cover letter should dovetail with the qualifications that are mentioned in the job announcement. If, for example, an employer emphasizes that they’re looking for a sales associate with great customer service skills or a strong attention to detail, you need to briefly describe examples of how you’ve demonstrated these qualifications in the past. Be sure to mention any previous work experience, along with your relevant skills, in your cover letter in order to emphasize your fit and interest in the position. While the position may be listed as temporary or seasonal, you never know what the role may develop into, so putting your best foot forward now can help set you up for success later. Below is a sample cover letter for a seasonal sales associate position to use as a guide. Be sure to customize your own letter to reflect your unique tone of voice and respond to the specific hard and soft skills that the employer is seeking in its sales personnel. Also, review a summer sales associate resume example so you can submit a top-notch resume with your letter. Please accept my enthusiastic application for the position of Seasonal Sales Associate at your clothing store, Bonita. My passion for customer service, organizational skills, and attention to detail make me an ideal candidate for the position. I believe that every customer deserves exceptional service. As an administrative assistant at ABC College’s Registrar’s Office during the school year, I provide attentive customer service, assisting students who have questions about classes and course registration. I love making people’s lives just a little bit easier with my thoughtful and thorough customer service. Last summer, as a sales associate at Fashionista clothing store, I provided high quality service to every customer that walked through the doors. I answered fashion questions, helped our guests with their product selections, provided information on our store’s credit card, and assisted customers who wanted to return or exchange items. You state in your advertisement that you want an employee with strong organizational skills. As secretary for my high school’s volunteer organization, I maintained a detailed, accurate record of our budget. While I was secretary, no funds were ever lost or unaccounted for, and we always had extra money at the end of the school year. It was my responsibility and organizational skills that ensured that we had a healthy budget. I also possess a strong attention to detail. For example, when I ran our volunteer organization’s annual fundraiser, I never let any details slip through the cracks. I assigned specific duties to each volunteer, and even created individualized hourly schedules, so everyone knew their assignments on the day of the fundraiser. I know I can apply this detail orientation to a job at Bonita, whether I am running the fitting room or helping a customer open a store account. My customer service, organizational skills, and attention to detail are qualities that would make me an excellent Seasonal Sales Associate. I have enclosed my resume, and will call over the course of the next week to follow up and see if we might find a time for us to speak in person. Review these cover letter samples for a variety of career fields and employment levels, including an internship cover letter sample, entry-level, targeted, and email cover letters. What Does a Cover Letter for a Summer Cashier Position Look Like? What Are Some General Tips for Writing a Flawless Cover Letter? What Does a Cover Letter for a Summer Catering Job Look Like?